I have fallen behind on my choice of paintings for the Director’s Cut of the Public Catalogue Foundation. I wanted to include Jean Cooke’s self-portrait entitled Et jamais je ne pleure et jamais je ne ris (it’s a phrase from Baudelaire’s Fleurs du mal) because, when I arrived at the Royal Academy, she dominated the meetings of the General Assembly. Extremely small, she had a squeaky voice. Whatever she said was treated with awe. 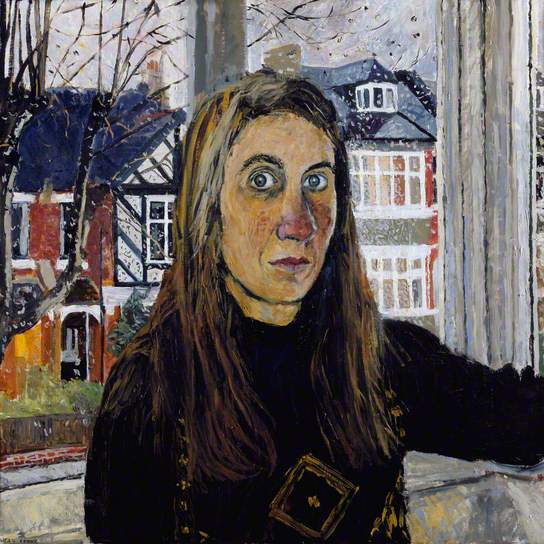 She lived in a cold cottage in Birling Gap, had been married to John Bratby (of kitchen sink fame) and once drove a Morgan.